It’s easy to see the bell’s and whistles of the new S7, but what about what you can’t see — RFR Radiation Levels! Galaxy S7 Wins with Camera, Power, Display — But Nearly Exceeds Highest Legal SAR Level at 1.59 W/kg! The S7 has a higher SAR Level than iPhone 6s at 1.58 W/kg, the iPhone 6s pushes two hundredths of a watt under the legal limit – nothing to brag about either! 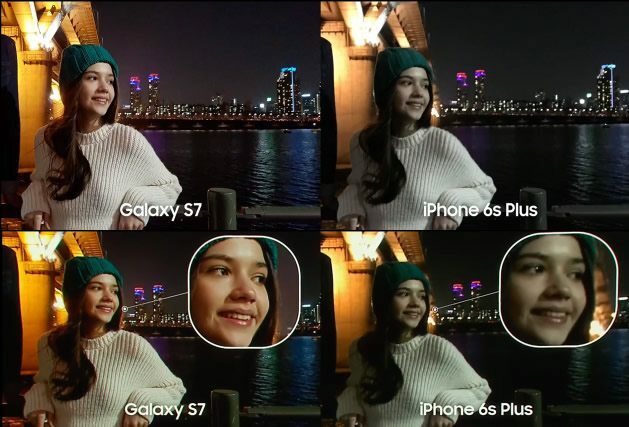 The Galaxy S7 has a higher SAR than the iPhone 6s and 6s plus. The big news here is that the S7 reverses the trend of lower SAR cell phones being made by Samsung – The Galaxy S7 has a higher simultaneous usage SAR level than either the iPhone 6s, rated at 1.58 W/kg (FCC ID BCG-E2946A), or iPhone 6s Plus, rated at 1.56 W/kg (FCC ID BCG-E2944A). Many older Samsung Galaxy Smartphones still uphold some of the lowest Smartphone SAR levels in the industry. However, this year’s Galaxy S7 has a Simultaneous Transmission SAR level of 1.59 W/kg (measured in watts per kilogram) for Samsung’s Galaxy S7 FCC ID A3LSMG930F. If the s7 was a result of listening to the people as JK Shin, President/CEO of Samsung Electronics for Mobile Consumer Products claims… Well, Samsung’s CEO would have heard about the public and public officials demanding SAR (Radiation Level) warnings which are being mandated in city and countries around the world. Several examples of the public outcry for lower radiation phones and health effects research are in this video — Yet Samsung has built their highest SAR level cell phone to date when making the Galaxy S7. Completely reversing the lowest SAR trend they had been on for years. It wasn’t the people they were listening to — it was Facebook and the adoption of VR gear they listened to equaling profits before the public’s health! See this video on testing the new VR gear https://www.youtube.com/watch?v=WJV_0Crgu6Q …only inches from the eyes of young children for hours at a time — besides the fact no government has done any testing on the phone absorption levels for children with the phone held directly in front of the eyes — NONE! RF Safe is making sure the public is aware of the risk involved when using wireless devices and they are taking an extra step in doing so. 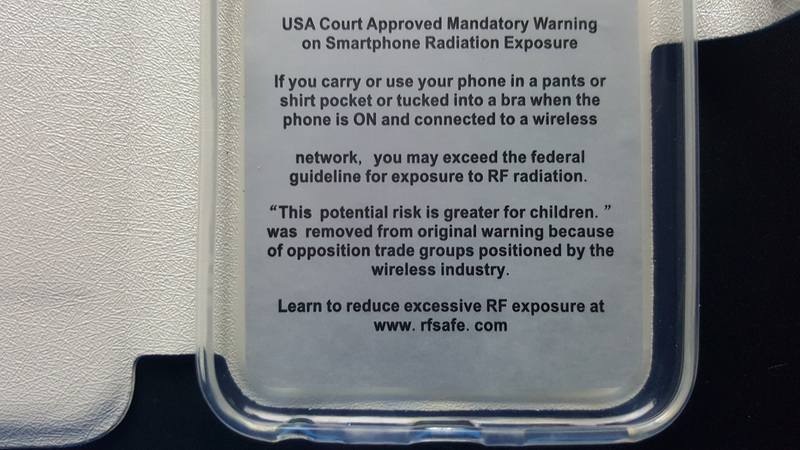 Inside each RF Safe case, a cell phone user will find Berkeley’s radiation exposure warning that passed the approval of court hearings in California. 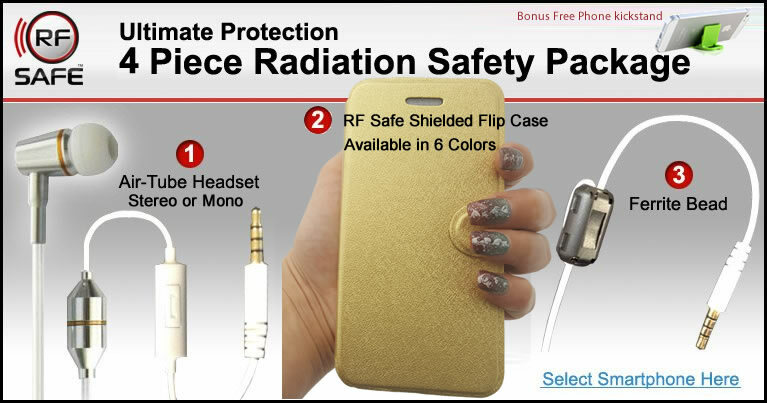 The warning in each flip case also includes the original text declaring that cell phone radiation exposure carries a potentially greater risk for children, which was unanimously passed by all city council members on May 12, 2015. “This potential risk is greater for children” was removed from the original warning because of opposition trade groups positioned by the wireless industry. RF Safe’s S7 case is easy to test yourself with most RF meters when using 2G and 3G cellular networks. As an extra safety precaution, RF Safe also suggests using an air-tube headset over the wired headset that comes with the phone to further reduce RF exposure from headset wires, this can be purchased in a 4 pc RF safety package for only 69.99, including free shipping world-wide! European Legal Limit is 2.0 W/kg – EU SAR testing is measured in watts per kilogram (or W/kg) averaged over TEN grams of simulated biological tissue.